Turning Vision Into Action: What does it mean to be a PLC Leader? Last week, I had the pleasure to meet and work with the excellent faculty at Oak Ridge High School in Tennessee. The following is an excerpt of our work together that day as we explored the question of what does it mean to work in and live within a Professional Learning Community. How to do what is described below will be a focus of future blog posts. You are a professional learning community teacher and leader. In this decade, what does that mean exactly? It means you pursue personal mastery—learning to expand your personal knowledge and skill capacity in order to lead and influence others toward a vision of “right things.” It means you design and develop a shared vision—learning to create images and pictures of the future and guiding practices for how to get there. It means you design a culture of service and sharing for team learning—as you develop the team’s capacity and ability to become greater than the sum of individual team member’s talents. It means you understand and embrace the implications of an accountability and celebration system—a way of turning that shared vision into action and ensuring all stakeholders in the school culture understand the interrelated nature of the effect their individual actions on the system as a whole. 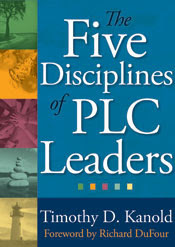 In short, PLC teachers and leaders pursue the tenets established by Peter Senge and his colleagues in 1990, as the core elements of learning organization work in The Fifth Discipline: The Art & Practice of the Learning Organization. At the time, Senge was concerned the organizational theory described in the book would become a fad. 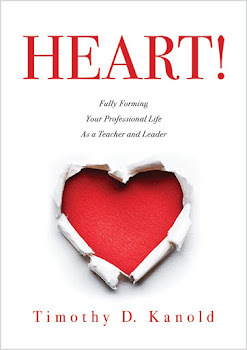 More than twenty years later the book, revised in 2006, continues to provide the solid foundation for and fundamental insight into your work as a professional learning community leader. So, why do you work to become an effective professional learning community leader? You work as a PLC teacher and leader in the hope that you can make something really great, difficult and worthwhile, happen in your area of district or school program leadership. You go to work every day in hopes of an optimal work experience. You go to work every day in hopes of being stretched to the outer limits of your skills and talents, but not so far stretched that you break from the stretch and strain of that daily work. You go to work for the experience of teaching and learning that has you performing at the peak of your talents and ability. PLC leaders and teachers go to work in the hopes of being fully engaged, fully energized, fully connected and fully joyful. Fully joyful = a by-product of being fully engaged, engergized and connected! Thanks for reading and making a comment! I like the definition! Somehow for me, Joy is sits on the other side of grace. I would like to share an experience I had recently with two successful leaders in a PLC committed High School. I am Co-Founder, with Dr. Timothy Kanold, of E squared, a PLC consulting team. I have been working with the leaders and teachers of Betty H. Fairfax High School, Laveen, AZ (Phoenix Union High School). Two of the key Leaders included Dr. Zachary J. Munoz (Principal) and Dr. Sandy Baker (Mathematics Department Chair). One of the goals of these two leaders included technology integration of graphing calculators into the mathematics curriculum. Dr. Munoz supported Dr. Baker to provide each teacher with classroom sets of Ti 84+/TI-Nspire calculators for their mathematics classrooms. This is a good example of a team that included the school leader and the mathematics leader. On my last visit to the school, I was asked to teach the 1st period geometry class, using graphing calculators while all the other geometry teachers observed and became a member of each of the 3/4 student teams. I asked the teacher of the class to select a student to operate the classroom calculator connected to an LCD projector that displayed the calculator screen on a white board. This was the first time for these students to use CabriJr for a lesson. The topic was introduction regarding SSS and SAS relationships to congruent triangles. Students and teachers were totally engaged. The student leading the class caught on to CabriJr, even though he had never used it before. The goal was to focus on conjecturing on their discovery of possible relationships. As the teacher, I did not suggest anything that led to the students creating the theorems related to SSS and SAS. The teachers were so motivated that they decided to spend the rest of the day planning geometry lessons together that followed. It was a perfect example of how teachers could learn from each other. This is a story how leaders and teachers can support each other to do what is best for students.